Hopefully you’ve already seen part one of this series Passing Knots Introduction: A Rope Rescue and Rigging Primer You Must Know - Using The MPD (Part 1) where we showed how to pass a knot through a CMC MPD on both raise and lower. Now we’ll show knot passes through a Scarab (lower) and pulley and prusik (raise). We want you to walk away with from this series with a basic THEORY of the knot pass. Once you understand the theory the hardware choices become secondary. Simply said… once you know the process, and the why for each step, every knot pass is essentially the same. Later on we’ll have all sorts of tips and tricks with improvised tools for knot passes. For now we broke it into 4 basic blocks and these all apply to twin tension or dedicated belay systems. Just remember to stagger your knots so you don’t have to do simultaneous knot passes. Knot pass with a rack style device on raise (We use the Conterra Scarab but it could be a brake bar rack or other device) Spoiler Alert! It’s just the same steps as the MPD! So what are these basic steps we apply to each one? Move the knot to the other side of the device by either moving the rope or the device. Release the load back to the device. Follow along with the videos and see the nuances but remember that we are always just executing the three steps above. Enjoy the videos and shoot us any questions. Knot Pass On A Raise... Non MPD Device.  Craig is a 14+ year Search and Rescue veteran in the Pacific Northwest and is the founder of The Crackerjack Group. Craig is a founding member and instructor with the International Technical Rescue Association. He’s currently a SAR volunteer for Deschutes County Oregon, rescue member of the MRA accredited mountain rescue team, an EMT, and specializes in technical and backcountry winter disciplines. He holds an AIARE Avalanche level 2 certification and is an expert backcountry skier. Equally comfortable in the field or command, he’s served as the coordinator for the Incident Management team and has participated in approximately 400 missions in his career reaching back to 2004 as a wilderness K9 handler. Craig is a frequent instructor for technical disciplines at SAR conferences, has served as an evaluator for MRA team accreditation, and was the a safety officer and rigger for the first descents into the glacial caves of Mt St Helens. He has led and participated in high alpine glacial rescues, big wall vertical rescues, and complex extraction missions. He enjoys teaching and believes his greatest offering is the ability to guide teams as a whole to improve communication, efficiency, and understanding of well-reasoned default operating guidelines. . Craig serves on the Curriculum Committee of the Oregon State Sheriff’s Association Search and Rescue Advisory Council and is a co-author and instructor of the state SAR Incident Management program. In 2013 he was recognized as the state SAR Volunteer of the Year. He has also served as a sworn Reserve Deputy and in addition to uniformed patrol, worked seasonally as a snowmobile patrol deputy and as a sworn municipal Police Officer and is a graduate of the Oregon Department of Public Safety and Standards Police Academy. He is certified NRA Range Safety Officer. Craig brings a solid perspective on leadership, objective-based management, and great personal experience as a field operator. Shop our selection of rigging gear & equipment and save up to 20% off your total order! Learn how to master 10 major anchor systems with The Foundations of Rescue & Rigging Anchor Systems eBook. Game changer or not? The CMC/Harken Clutch is real!